Summer is inching its way to Calabasas and AES knows how much Calabasas and the surrounding communities in the West San Fernando Valley and Ventura County enjoy entertaining. AES has also seen a spike in calls for KitchenAid installation and repair in the Calabasas area. This has led to AES securing factory-certification in the complete KitchenAid product line. KitchenAid, originally known for its stand mixer that was born in 1919, the company has methodically expanded to manufacture all major cooking and cleaning appliances. Now, your Calabasas-area AES expert appliance repair technician has earned KitchenAid factory certification. If you resident in any of the following zip codes, there is an AES factory-certified AES appliance technician readily deployable in your area now: 91301, 91302, 91372 and 91399. Does your KitchenAid appliance need repair? AES understands the inconvenience created by loss of operability of a cooking or cleaning appliance. This is why AES stocks most KitchenAid factory original (or manufacturer approved) replacement parts in its service vehicles. With most parts immediately on-hand, repair times are reduced to a minimum. In the rare instance we do not have the part, we can arrange to have it shipped overnight in most instances. We Value Time. AES offers same-day service in most instances. AES always checks wires, thermostats and general machinery of your KitchenAid appliances and troubleshoots other potential problems with each service visit. Don’t be shy with your questions. 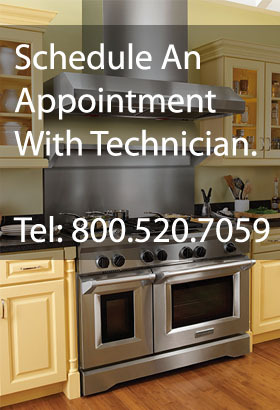 Your local AES appliance repair technician is a great personal resource. They will answer questions, teach you how to optimally operate your appliances and how to troubleshoot in-house.